Go fast or go home. No truer statement sums up the Armagh International Road Races, with some of the fastest around making their way to Northern Ireland for a night of ‘pure’ racing on Thursday (February 15). 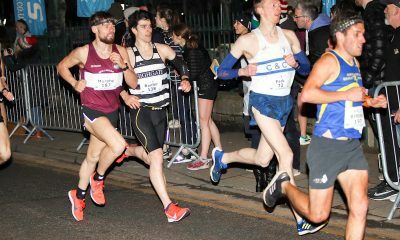 With elite runners from Britain, Ireland, USA and Europe ready to toe the start lines in the men’s 5k and women’s 3k races, everyone is wondering just how fast the 28th edition of racing in Armagh will be? Every year more and more men dip under the elusive 15-minute barrier for 5k, and with 77 last year, 2018’s crop of runners have the difficult task of extending the upward rise. Equally the women’s 3k is just as impressive with 28 sub 10-minute finishers at the last edition. 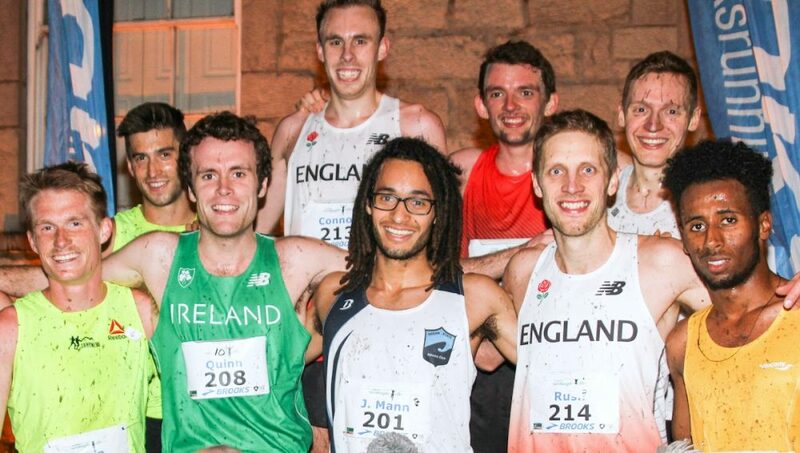 As well as chasing individual personal bests, there are team honours up for grabs, with the USA, England, Ireland, Scotland, Northern Ireland, Wales and Belgium among the nations out in force in the cathedral city. Vying for top honours in the men’s 5k is the returning Dewi Griffiths who finished third in 2017 in a personal best 13:58. Griffiths then went on to deliver numerous PB performances last year including the fantastic 2:09:49 marathon debut in Frankfurt. Two months later in December a hamstring injury at the European Cross Country Championships somewhat stalled his no fear attitude to racing. Now after a brief time-out, he’s ready once again for the roads, where he will aim to kick-start 2018 ahead of a Commonwealth Games 5000m and 10,000m double. Following the late withdrawal of Kris Jones, the Welshman will be the solo Swansea Harrier challenging for the title. There are plenty of contenders lying in wait, and you need to look no further than Englishman Graham Rush, who makes a return after his 14:07 seventh place last year, while American Jordan Mann who finished eighth in 14:08 is also back. Mann leads the American charge that includes Zap fitness athletes Josh Izewski and Aaron Nelson, who both compete for the first time in Armagh. The latter with outstanding track bests of 13:42 for 5000m and a 10,000m best of 28:44. While Mann’s Ocean State AC clubmate, Shane Quinn from Ireland, will put himself in the mix once again after finishing 10th last year. 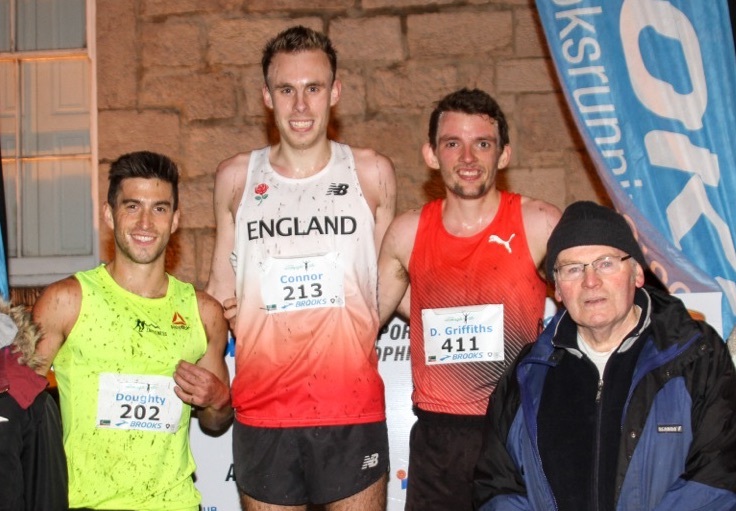 Such is the depth of the men’s field, the podium places are anyone’s guess, with other notable names including 2016 winner Charlie Hulson, Luke Caldwell of Scotland, and England’s Jonny Hay. Leading the Irish team is Matt Bergin, who ran 14:12 to just miss out on a top 10 placing in the 2017 edition of the oval lapped course. Also among the Irish contingent are John Travers and Hugh Armstrong, with the latter a 19th place finisher in Samorin last December. If the pair can deliver a performance they are capable of, it would be no surprise to see them at the front end of the race. Belgium’s Yannick Michaels, the 2016 runner-up is also back and is a runner not afraid to go to the front and attack, while Poland’s Krystian Zalewski will aim to get closer to his fifth place in 2015 after finishing 24th last year. Elsewhere there are the unknown quantities in newcomers Sam Stabler and Mahamed Mahamed. The English pair impressed this year in the British Cross Challenge series, going neck and neck on a number of occasions. 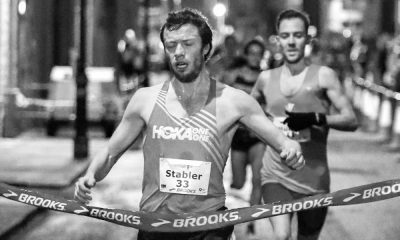 Stabler, who like many in the field has the US collegiate pedigree behind him, impressed at the end of 2017 with a 29:13 win at the Leeds Abbey Dash 10k, and with a 13:30 track 5000m it would be no surprise if he won the 2018 title. For the home support and representing Northern Ireland and Ulster, locals will get the behind the quartet of Danny Mooney, James Edgar, Scott Rankin and Neil Johnson. 1500m specialist Mooney clocked 14:38 in last year’s race. 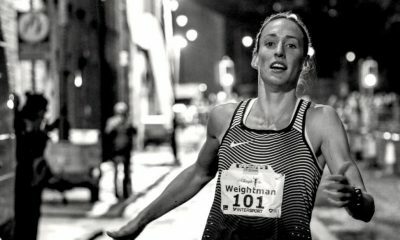 Reigning women’s 3k champion Laura Weightman makes a welcome return to Armagh after setting a new course record last year. 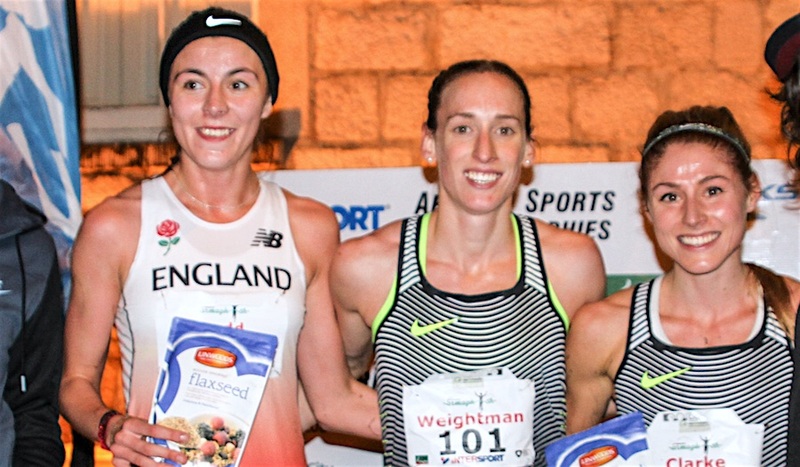 Weightman clocked 8:59 in her first visit to the Armagh, finishing ahead of fellow British internationals Rosie Clarke and Jess Judd to the win. Clarke sits out this year focusing on the British indoor championships this weekend, while Judd returns once again aiming to move further up the podium steps after clocking 9:11 in 2017. Kate Avery, who continues her comeback from injury, is another well-known name racing this year. The two-time European cross country silver medalist will without a doubt be a strong challenger if the fitness is there. Another newcomer to the event, Verity Ockenden, in the vest of England, will be amongst the favourites for the podium spots. 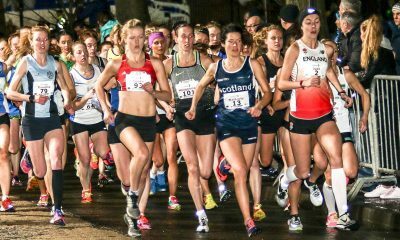 The Swansea Harrier concluded an impressive cross country season with an eighth-place finish at the Great Edinburgh XCountry. Northern Ireland and Ulster duo Kerry O’Flaherty and Emma Mitchell will be at the front of the race throughout with aims of bettering their ninth and 10th place finishes last year. 2017 was a record-breaking year for the latter with Northern Irish bests on the road and track. They will be joined in the team by Irish marathon champion Laura Graham and race organisers Armagh AC’s own Fionnuala Ross. While Ireland will be represented by Ciara Durkan, Una Britton, Siobhra O Flaherty and 17-year-old Laura Nicholson. Nicholson won the Irish U20 national cross country title in November before going to compete in the U20 Euro XC Championships. Steph Pennycook and Holly Rees will lead the Scottish assault on Armagh. Pennycook finished 18th last year in 9:37, while US-based Rees is making a first appearance in Armagh having posted a 9:19 indoors just last month in Boston. Other notable names who will surely feature high up the field are Amy Griffiths for England, Jenny Nesbitt in the Welsh vest, while Commonwealth Games-bound Alex Bell makes the step up in distance from the more familiar 800m and 1500m. Elsewhere Leeds athlete Claire Duck makes a return after finishing 11th in 2015. Laura Howarth will join the aforementioned runners on the start line on the back of a second place finish at the North of England Cross Country Championships. The Team New Balance Manchester runner finished second that day to Mhairi MacLennan, who also makes a return in the vest of Scotland after finishing 34th last year. The two international races begin with the women’s 3k at 8:05pm and men’s 5k at 8:25pm, but before that, there is a full programme of juvenile races which get underway from 6.30pm, with the night of exciting racing brought to a close with the open men’s 3k at 8:50pm. Fast Running will help showcase a number of high-quality club organised races this year to highlight the great work that happens at grassroots. Get in touch at team@fastrunning.com if you think your race deserves more coverage. What makes racing in Armagh so special?